For the Carlton Comprehensive High School Graduating Class of 2018, life will never be the same. Roughly 350 students crossed the stage to receive their diploma during Thursday’s ceremony at the Art Hauser Centre. 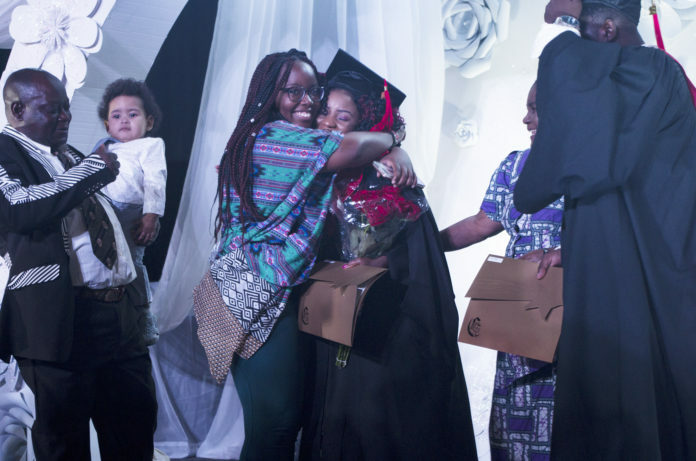 For the teacher responsible for handing out every diploma, principal Dawn Kilmer, the event marked the end of an era and the begging of another for a grad class filled with promise. New beginnings were a common theme during Thursday’s ceremony. Guest speaker Michelle Zatlyn, a Carlton alumnus and co-founder and COO of the web performance and security company Cloudflare, encouraged students be curious, be willing to learn, and be willing to step out of their comfort zone. You’re entering a new ear, she explained, and it’s one filled with potential. Kilmer took a similar line of thought in her own speech, encouraging the Glass of 2018 to be fearless as they stepped out into the world. However, she also reminded them that they’d always have a place back in Prince Albert. “Once a Crusader, always a Crusader,” she said at the end of her address to the class. Kilmer added that the Class of 2018 was well known for its ability to embrace and appreciate those around them. She’s confident those skills will take them far, and hopes being at Carlton encouraged them to keep pushing and trying new things.